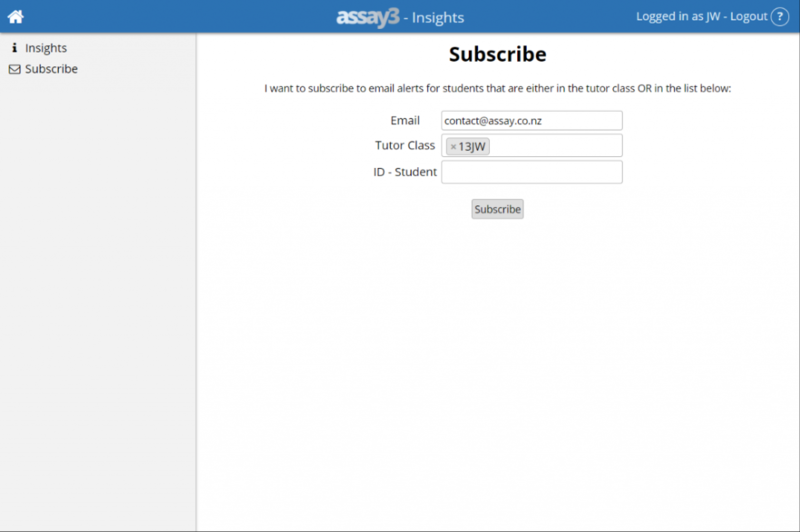 Insights can be set up to send out email alerts for students you subscribe to. You can subscribe to students by tutor group or individually.Insights can be set up to send out email alerts for students you subscribe to. You can subscribe to students by tutor group or individually. Once subscribed you need to confirm your email before any insights will be sent out. Insights are sent out within 15 minutes of new data being uploaded into assay, if there are any relevant insights. The insights can also be viewed by clicking on the insights on the left. Attendance (based on half days) goes above or below 5% thresholds from 70%-90%.